Whether you’re a stay-at-home mom, work-at-home mom, or a working mom, busy moms need help and no one knows this more than Emily Kaufman and she shared some time saving and money saving solutions in the kitchen for busy moms. Start with snacks. 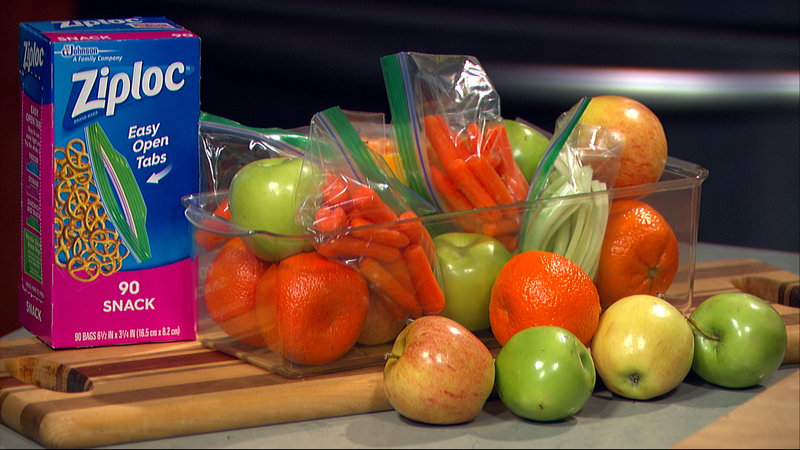 Moms want snacks for kids that are easy to make and also nutritious, so just bundle plenty of cheese sticks, fresh fruit, and pre-cut raw veggies together in a large container and place them in the fridge so kids can serve themselves when it’s snack time. Dinner made simple. Now, getting dinner on the table is a daily chore. As busy moms, we need to feel confident in the food we’re serving our family, but don’t always have time to make a home cooked dinner. That’s why I like Banquet frozen meals that have provided wholesome meals wholesome meals for more than 60 years and they’ve recently been made even better. Customer feedback is important to Banquet and that’s why you’ll find more food, more meat and more real, quality ingredients like mashed potatoes made with real cream and 100% natural chicken breast in place of dark meat. 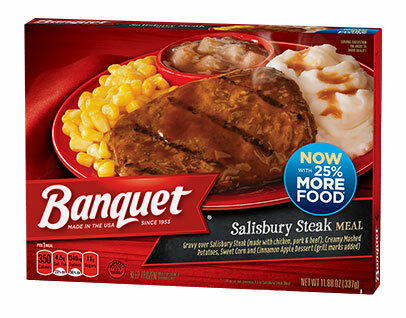 In fact, the Salisbury Steak Meal has 25% more food and the Chicken Pot Pies now have 20% more meat. You’ll also get real white meat chicken in popular kid favorites like Chicken Fingers and Fried Chicken dinners. 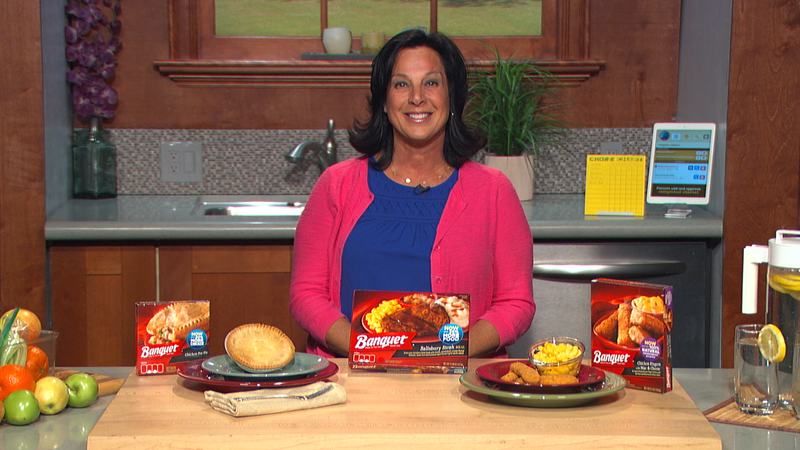 Banquet meals are available in the freezer aisle at grocery stores nationwide for under $1.25 and you can find out more at banquet.com. Beverages on a budget. 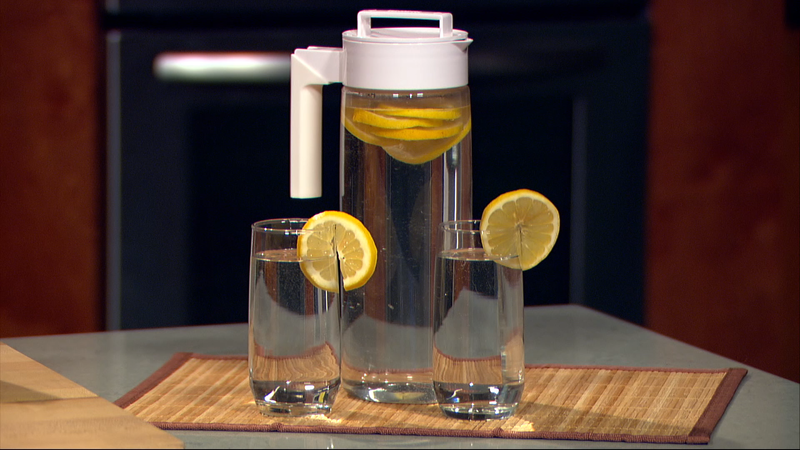 Keep beverages simple at the dinner table and throughout the day. Children should drink six-to-eight glasses of fluid each day and water is a perfect drink at meals when you dress it up with a wedge of lemon. It’s easy to make and also easy on the budget. Delegate tasks to the kids. Finally, get the kids to help out in the kitchen by delegating simple and age appropriate chores to little helpers, tweens and teens so it’s not “all on mom.” From setting the table, doing the dishes and even taking out the trash. 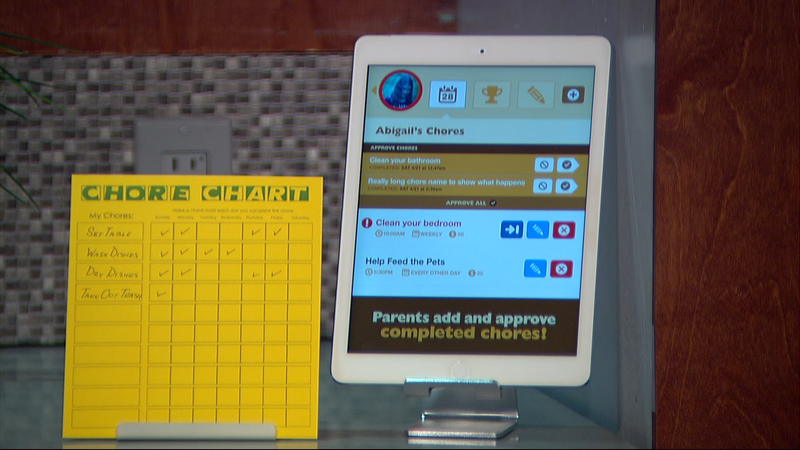 You can make an old fashioned daily chore chart and if your familiy is plugged into smartphones and tablets, there are several apps, like Chore Monster, that make chores fun for kids. Emily Kaufman, has been a leading “mom expert” since her first television appearance in 1996. She was a contributor to Good Morning America, has numerous appearances on The Today Show and is a regular contributor to The Steve Harvey Show, offering practical lifestyle, travel and parenting tips and advice.